The overabundance of natural gas in North America has been revolutionizing the economy and the energy industry, all thanks to the massive shale formations being discovered across the country. The demand has remained high while the supply is even higher, and prices hit a 10-year low in April 2012. But cheap natural gas is not here to stay. 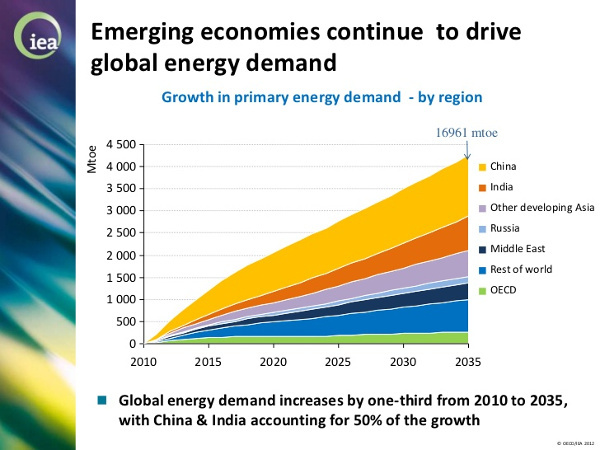 Energy demand is trending up at an all-time high, and within the next few years, we are going to be seeing emerging countries desperate for energy and looking to buy it cheap. According to Exxon Mobil Corp.'s Outlook for Energy, emerging markets will have a 65% rise in energy demand from 2010 to 2040. The U.S. became a net exporter of natural gas in November of 2016. It has been more than 60 years since we began exporting more than we import, but a few big changes put us back on the map. And between 2005 and 2015 the U.S. marketed natural gas production jumped by 51%, and the U.S. extracted more than 28.7 trillion feet of natural gas. Of course it was one thing to extract the gas, but another to sell it globally... you see for a long time the U.S. was only able to use pipelines and sell to a regional market. But with the advent of a terminal for LNG (liquefied natural gas) in Louisiana, we began exports to Brazil, Argentina, India, and China. Natural gas is where the money is. We're not the only ones saying this... Even OPEC is taking notice. I know. You thought OPEC was focused on oil... And it was... But it's been losing the oil battle to U.S. shale producers. Here's the situation: certain U.S. shale producers can still make a profit when crude prices are trading between $40-50 per barrel (WTI Crude is currently $45.04 a barrel). OPEC? Not so much. It’s not that it can’t pull it out of the ground cheaper, it can. It’s that it's the only source of revenue and without generous payouts to it citizens OPEC faces revolution. It just can’t keep up anymore. And there’s a good chance that it knows it too, which is why we may see OPEC try to take control of natural gas. Natural gas has emerged as the best bridge between renewables and fossil fuels. The world is demanding more of it, with consumption reaching 203 trillion cubic feet per year by 2040. Saudi Arabia has the sixth-biggest natural gas reserves in the world. However, the problem is that Saudi Arabia does not currently import or export natural gas, and therefore has no structures in place to start supplying it. That may very well change in the future as Saudi Aramco shifts its focus and kickstarts more natural gas/LNG projects. One thing we do know is that for OPEC’s natural gas ambitions to work, it’ll need to get Russia on board. After all, Russia is the world’s largest exporter of natural gas, and the second largest producer (behind the United States, of course). And even though Russia is obviously not a member of OPEC, the most recent cooperation to cut production might be enough to start a dialogue between the two. Look into investing in an exchange-traded fund, or ETF. This is an investment fund that is similar to a mutual fund but trades like a stock on the exchange. It tracks commodities, an index, or even a group of assets. 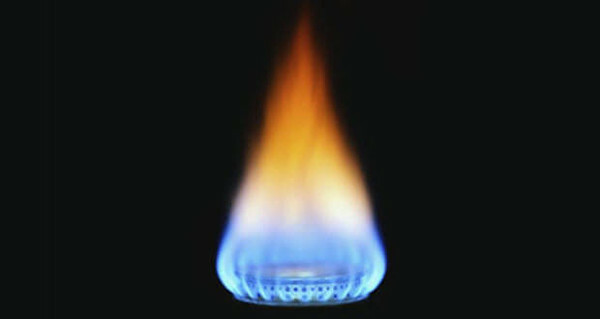 Asset-holding ETFs can be specific to a single industry, such as natural gas. And the largest natural gas ETF is the U.S. Natural Gas Fund, which is traded on the NYSE Acra exchange under the symbol UNG. The fund has been trading for almost nine years. Nearly half of UNG's holdings are within futures contracts on natural gas. If there's one ETF emerging from the natural gas surge in demand, it's this one. The other way to take financial advantage of natural gas is by simply investing in individual companies and their stocks. When doing so, you'll want to find companies that have stakes in a lot of the natural gas developments popping up and that are invested in major shale formations. EQT Corp (NYSE: EQT) announced that it had acquired Rice Energy (NYSE:RICE) for $6.7 billion dollars, making it the biggest natural gas producer in the United States. 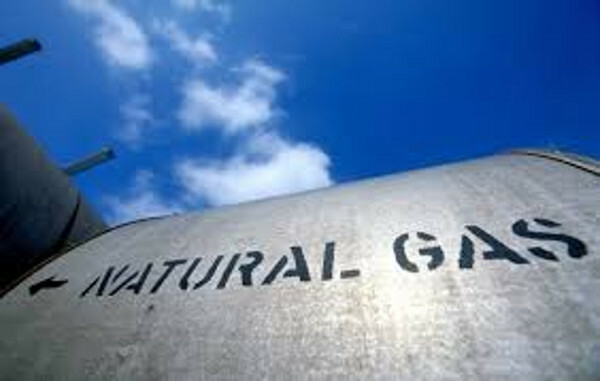 EQT will now provide roughly 5% of all the natural gas supply in the U.S., leap-frogging over massive energy powerhouses like ExxonMobil. Why Rice? Well, Rice Energy controlled approximately 185,000 acres of land in the Marcellus Shale play — which accounts for one-fifth of all the natural gas extracted from beneath U.S. soil. We’ve talked about the Marcellus quite a bit here at Energy and Capital. The play has an incredible amount of natural gas reserves at hand, with companies pumping out about 19.3 billion cubic feet every single day! After news of the deal broke, Rice Energy’s shares jumped from $19.44 to $25.52. This company, with a $4.294 billion market valuation, leads the way in the acquisition, exploration, development, and production of natural gas and oil in the United States. It holds interest in a vast span of natural gas shale formations from the Haynesville (Louisiana) to the Marcellus (Pennsylvania) and all the way down to the Barnett (north Texas) and the Eagle Ford (south Texas). This independent natural gas and oil company explores and produces around the Mid-Continent and Permian Basin as well as West Texas Overthrust (WTO), Gulf Coast, and Gulf of Mexico. It has interests in over 225,000 acres and 7,350 potential drilling locations in the Permian Basin and 1.75 million acres and 8,000 drilling locations in the Mississippian. With a focus on alternative fuel for vehicle fleets in the U.S. and Canada, this company supplies compressed natural gas (CNG) and liquefied natural gas (LNG) fuel for medium- and heavy-duty vehicles. It's currently working on America's Natural Gas Highway, a network of 150 LNG fueling stations on major trucking highways across the U.S.
One company outside of U.S. borders that is getting the world's attention is the massive, Russian-based Gazprom (MCX: GAZP). The company is the largest extractor of natural gas in the world and produces 15% of worldwide output and 78% of Russia's alone. Bloomberg ranked Gazprom as the third best-performing global energy company in the world after Exxon Mobil and Chevron. One of our top energy experts here at Energy & Capital, Kieth Kohl, has discovered an incredibly lucrative opportunity regarding Natural Gas pipelines to our neighbors in the south. Kieth has put together a video presenation of his research and how you can invest in the Natural Gas infrastructure boom that is about to take off. If you do not wish to watch the video presentation, you can take a look at Kieth's findings in the written transcirpt, which you can view right here. Not only are the United States becoming a power house of a Natural Gas producer, but they are also becoming a powerful exporter of the valuable resource. Discover how you can reap the rewards in the links above. 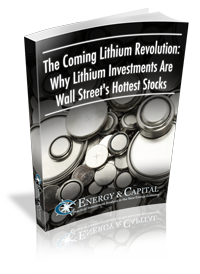 Energy and Capital editor Keith Kohl talks about 10 of the biggest companies in the world... Companies you've probably never heard of before. Energy and Capital editor Keith Kohl explains the catalysts behind the upcoming surge in natural gas prices.